After much anticipation, the new Strut Records Nubiyan Twist LP is finally here! When one of the UK’s top jazz/soul/global beats fusion groups of recent times links up with one of London’s deepest digging music labels you know it’s going to be special. Some truly amazing music on here plus some jaw-dropping special guests including afrobeat legend Tony Allen and Ethiojazz giant Mulatu Astake. Album drops on Friday 12th November and the band are hitting the road to promote it with a big tour that drops into Leeds on Saturday 10th November at Brudenell Social Club. 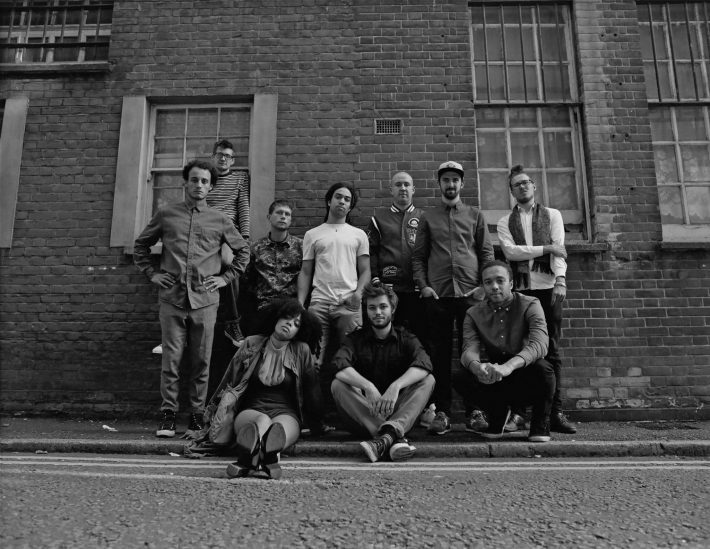 Nubiyan Twist were formed in 2011 at Leeds College Of Music by musicians who loved soul, funk, jazz, hip-hop, reggae, afrobeat, Brazilian music and dub. Fronted by female singer/rapper Nubiya Brandon and under the musical direction of guitarist/producer Tom Excell, the 10 piece collective made a name for themselves quickly sharing stages/supporting the likes of De La Soul, Hot 8 Brass Band, Quantic, Robert Glasper, DJ Yoda, Gilles Peterson and DJ Vadim. They became a big hit at summer festivals like Soundwave Croatia, Shambala, Secret Garden Festival, Eden Festival, Green Man Festival, Meltdown Festival and WOMAD. These days they’re selling out venues and headlining festivals not just around the the UK but also across mainland Europe, from Berlin to Belgium, Copenhagen to Holland, France to Switzerland. After a series of singles, EPs and the debut album releases on Wormfood Records, they’ve now linked up with one of the most respected deep music labels around, Strut Records of London. “Jungle Run” drops worldwide on 12th November and is right up there with any UK/London jazz release of the last 15 months (Yussef Kamaal, Nubya Garcia, Ezra Collective, Joe Armon-Jones etc). It will get a plenty of airplay for sure from Nubiyan Twist radio supporters at BBC 6 Music, Jazz FM and 1Xtra. A very special show for the band in the city where they formed and also first time ever in 7 years playing at Brudenell Social Club. Whether you’re a fan already or just a person who loves great jazz/soul/world music, do not miss this one. Sell out guaranteed so jump on tickets now at Lunatickets, Seetickets, Jumbo Records and Crash Records. Direct ticket link in this event.